Frequency bands: GSM 850 / 900 / 1800 / 1900 MHz. Adjustable resolutions are available for both still images and videos. Detection Angle (degrees)120. Flash TypeNo Glow/Black Infrared. Night Vision Distance: 20m/65ft. HD video (1080P) with sound. It is very convenient and cheap to use TF card to record, maximum supporting 32GB TF card ( not included ). Video Resolution: 1080P/ 720P/ VGA. IR LED: 36 Infared LEDs. PIR Interval: 1/5/10/30sec/min (default 1 sec). It is water resistant and snows for outside uses. Detection Angle (degrees)60°. Trigger Speed (seconds)0.7s. Available operation temperature: -20 to 60 Deg.C. Adjustable video length: 10 / 30 / 60 / 90 seconds. F=3.09; F/NO=2.0; FOV=108; Auto IR filter. Range of IR flash 20m. The number of IR lamp 46pcs. Image sensor. Lens angle 108°. 5MP/8MP/12MP CMOS sensor. Video resolution. -1 Instruction. Trending at C $66.80eBay determines this price through a machine-learned model of the product's sale prices within the last 90 days. Photo Resolution: 8MP, 12MP, 16MP. It will be in the power-saving state when not detecting the animals. Frequency bands: GSM 2G 900/1800MHZ. MMS to Phone: 1 - 3 phone numbers. Adjustable resolutions are available for both still images and videos. It is water resistant and snows for outside uses. ● Available operation temperature: -20 to 60 Deg.C. We also have a high-standard team, qualified by authorized organizations to ensure products are of the highest quality. 12MP images, 1080P FHD videos. Selectable picture resolution: 12MP / 8MP / 5MP. LED: 850nm IR. - 30pcs infra LEDs, provide up to 20m / 65ft night vision range. Number of IR LED: 30pcs. High Definition Support 1080P (Full-HD). 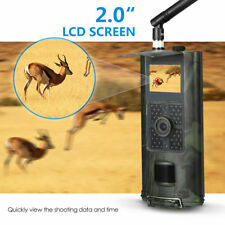 Its concealed, waterproof and dustproof design and thermal infrared sensor technology allows you to detect animals in all-weather various outdoor conditions, take pictures or record the conditions of animals' trace. SUNTEKCAM HC-801M 2G MMS SMTP. HD video (1080P) with sound. Trigger Speed (seconds)0.3s. - 36pcs IR LEDs, super long detection range up to 20m / 66 feet. Easy to use and mount. Detection Angle (degrees)120. 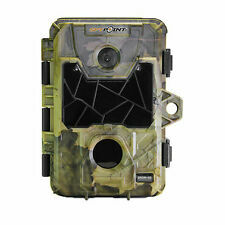 Moultrie M Series W-40i 18.0MP Trail Cam BRAND NEW Condition is New. Shipped with USPS Priority Mail. New in the box! Shipped with USPS Priority Mail. It features an all steel construction for durability and can accept either a standard padlock or Master Lock Python cable to secure it. Flash & Lighting. Computers & Accesories. Binoculars & Spotting Scopes. MMS to phone: 1-4 phone number. Detection Angle (degrees)120°. IR LED: 42pcs Infared LEDs. The 'Black Low Glow' covert infrared flash LED provides a 65 feet flash range in the dark, which makes it a stealthy unit that does not intrude into the natural habitat. Photo resolution: 12MP 4032 3024. Do not miss an important picture. PIR angle: 110 degree. Image Sensor: 3MP Color CMOS. Lens: wide 120 degree. USB Slot: 5pins USB 2.0. Work mode: 3Photos 10sVideo. It is water resistant and snows for outside uses. B. Motion-triggered infra-red night vision surveillance. Lenovo Waterproof Heart Rate Smart Bracelet Watch Wristband Sport Fitness. ● Adjustable video length: 10 / 30 / 60 / 90 seconds. HD video (1080P) with sound. MMS to phone: 1-4 phone number. Easy to use and mount. Detection Angle (degrees)120. - With the fixed rope with buckle, easy to fix to tree rods and tree branches. FeaturesPassword Protection,Power Input Jack,Send Images to Phone,Test Mode. 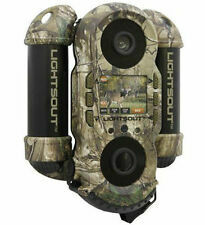 Moultrie M-50 Game Camera. Condition is New. Shipped with USPS Priority Mail. Tasco 10MP Trail Camera 119272CW (FE1033355). Condition is New. Shipped with USPS Priority Mail. Sending picture via 2G GSM MMS or GPRS; Four bands: 850/900/1800/1900MHZ. MMS to phone. Detection Angle (degrees)90. Flash TypeLow Glow/Red Infrared. 2G GSM 850/900/1800/1900 MHz. 1/5/10/30sec/min (default 1 sec). HD video (1080P) with sound. Trigger Speed (seconds)0.5s. - 36pcs IR LEDs, super long detection range up to 20m / 66 feet. MMS to phone: 1-4 phone number. Easy to use and mount. Detection Angle (degrees)120. 12MP images, 1080P FHD videos. - Tough and IP65 waterproof body design. High Definition Support 1080P (Full-HD). - 90-degree FOV lens, 120-degree detection angle. Optical Zoom Supported No. - 30pcs infra LEDs, provide up to 20m/65ft night vision range. Built-in 42pcs hidden IR LEDs, fully automatic IR filter, with very low glow red flash. --IR LED : 42 Infared LEDs. --PIR Interval : 1/5/10/30sec/min (default 1 sec). 65ft PIR and night version distance, with 120° detection angle to cover a very large area. 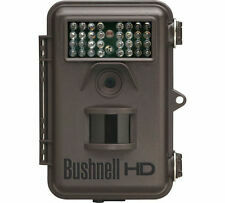 We have a bushnell trophy cam hd trail camera. It is new an box is unopened never used. Has 2.4 inch color viewer, .2 second trigger speed, 3 location presets, 24 mega pixels an 1080p HD video. Please email any questions. 16MP Photo and 1080P video solution. ★ IR Flash: 38 upgraded Infrared LEDs for night shots. ★ Degree wide angle：120°. 0.6s trigger speed never miss any actions. 1x Mounting Belt. 1x Instruction. 0.2-0.6 second. Polarization Linear Vertical. Polarization Vertical. Accessories Coaxial Attenuator. Install by simply unscrewing your current antenna, and attach this High Gain antenna in its place. Omnidirectional Antenna. 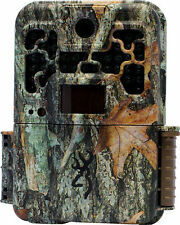 Mossy Oak Gamekeeper SHADOW 8mp Scouting Camera Condition is New. Shipped with USPS Priority Mail. 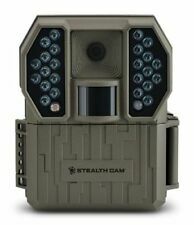 This digital trail camera is a surveillance camera working automatically. It can be triggered at once by any movement of human (or animals) in a certain region of interested (ROI) monitored by a high sensitive Passive Infrared (PIR) motion sensor, and then automatically captures high quality pictures (up to 12M pixels) or records 1080p HD video clips (WVGA or QVGA). At sunrise the unit begins to take color photos and video until there is insufficient light (dusk) when it begins to take infrared (monochrome) photos and video. 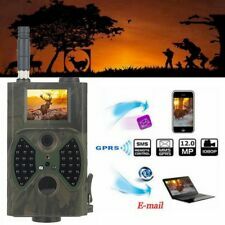 It is easy to use, there is a 2.0 inch colorful LCD display Camouflage shell,easy to hide in jungle or forest, No flashing when photo,not easy to be exposed,. Photo Resolution: 8MP, 12MP, 16MP. Frequency bands: GSM 2G 900/1800MHZ. MMS to Phone: 1 - 3 phone numbers. Frequency Bands: GSM 2G 900/1800MHZ. Adjustable resolutions are available for both still images and videos. It was a raccoon. I have the instruction book that I will include in the box IF I CAN FIND IT. 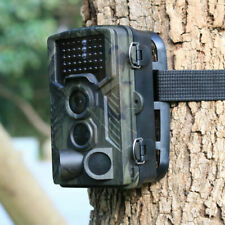 Hunting game trail cameras are designed for a variety of strategic scouting situations because the hardware is intended to gather tactic information about general conditions in a wilderness environment. If the process of surveying an area in a wilderness zone is a hassle, these cameras are designed to make challenging routines easier with technology that can detect deer and other animals strategically in key areas. These products are constructed with durable housing, which can assist in protecting the camera from harsh elements such as rain and snow. What are the megapixel options? Each trail camera model is designed with a unique megapixel option, and specific hardware gives you opportunities to shoot different animals in various environments. The lowest resolution will generate snapshots that are true to life; most brands that engineer low-resolution products use 3 megapixel hardware to produce shots in this resolution range. In order to shoot wilderness creatures successfully at the highest resolution, you'll need a product that has 18 megapixels. These units have the ability to capture vibrant shots without grains and other flaws. Many hunters use products with an increased resolution during tactic routines in locations where lighting is limited or conditions may not be ideal. Browning, Bushnell, Cuddeback, and Mourtrie are just a few of the brands that design trail cameras and accessories for wilderness environments. If you want to scout deer from a distance, a product by Spypoint or Stealth Cam is worth considering because these brands design options with a practical colour scheme. 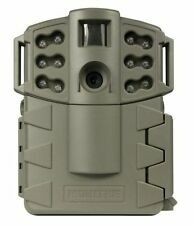 Because the patterns on the housing match various elements that are found in the environment, you can use hardware by Spypoint or Stealth Cam near hedges and various other different terrains. Other reputable camera brands include Primos and Wildgame Innovations. What are some features and hardware options? Many features are included with different game trail cameras by specific brands, and you can use each feature multiple times during scouting routines, as most units pull power from an AA or 6V battery. Burst, video, infrared for nighttime images, wireless powered by AA batteries, and time-lapse are a few of the features that make various products unique. If you want to capture multiple shots of a deer as it sprints through a forest, a camera must have a fast burst mode since this technology will help you snap many shots. The top brands use a wide range of flash hardware and infrared so that you can capture animals that roam in dim environments. Most units are designed with specific flash options, which include low glow and infrared hardware.